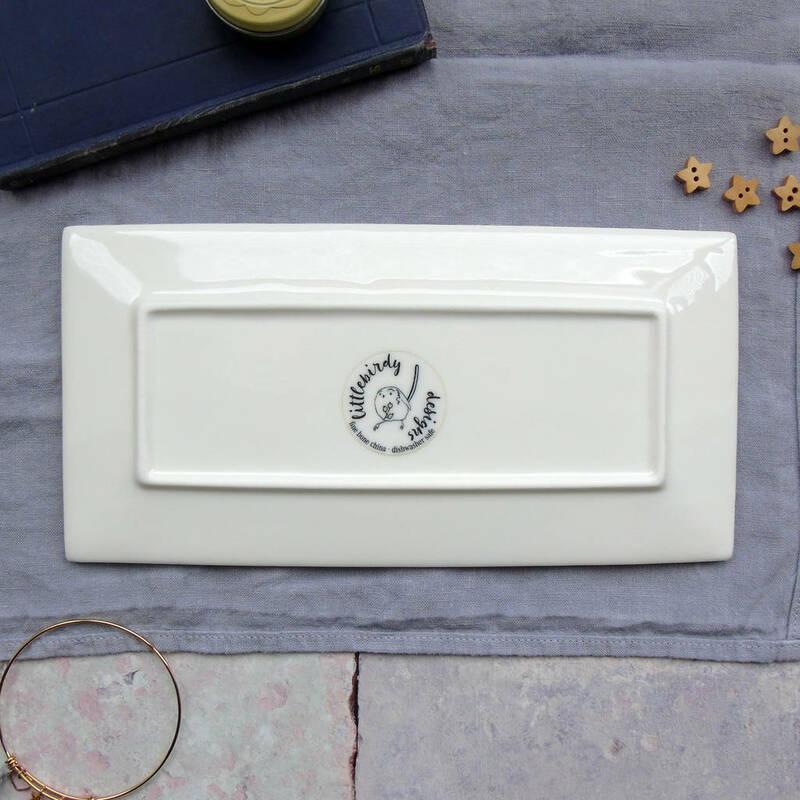 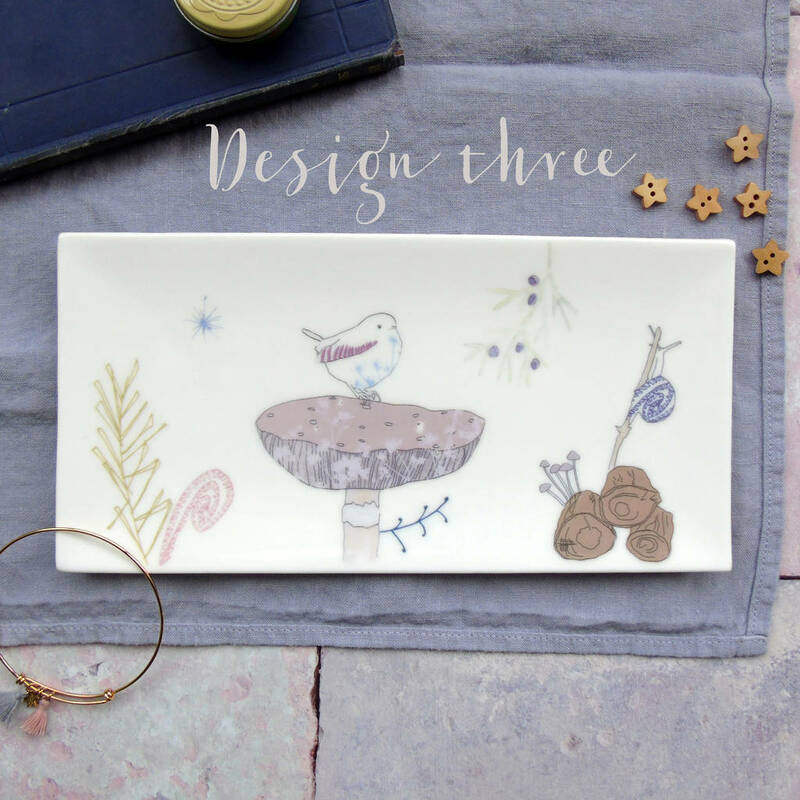 A pretty addition to your dressing table this delicate, bone china rectangular tray makes a pretty receptacle for all your trinkets and treasures. 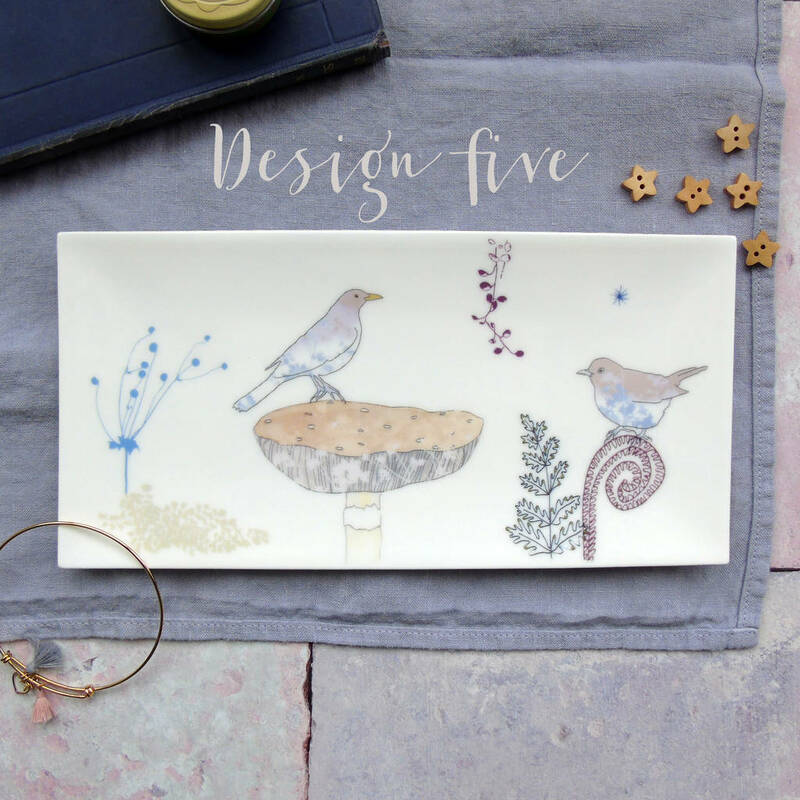 Hand decorated using digital transfers of my watercolour illustrations, each tray has a unique design (please choose your preferred design from the photographs). 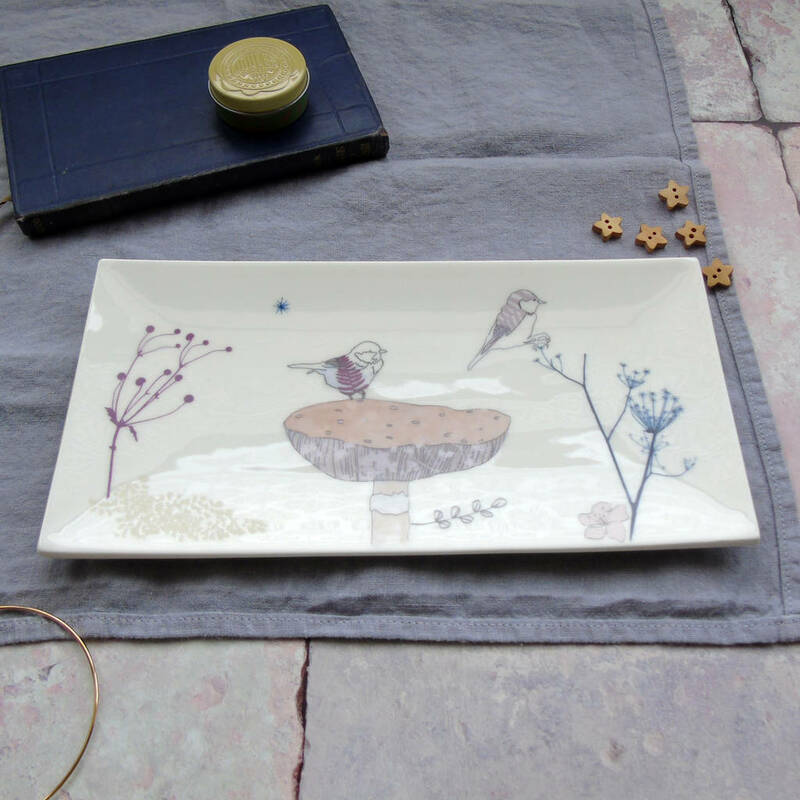 My illustrations are professionally printed onto ceramic transfers that can withstand being kiln fired to 800°C. 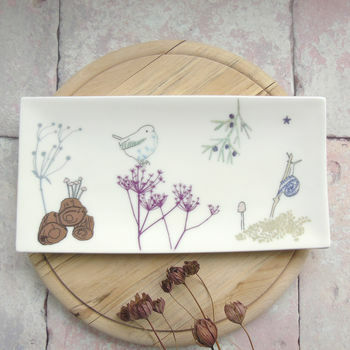 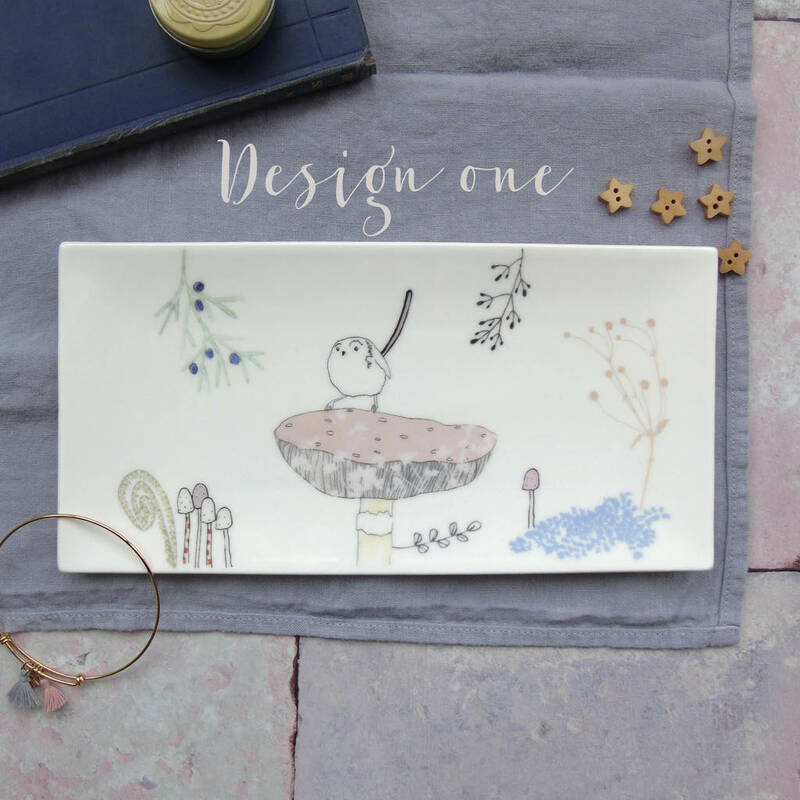 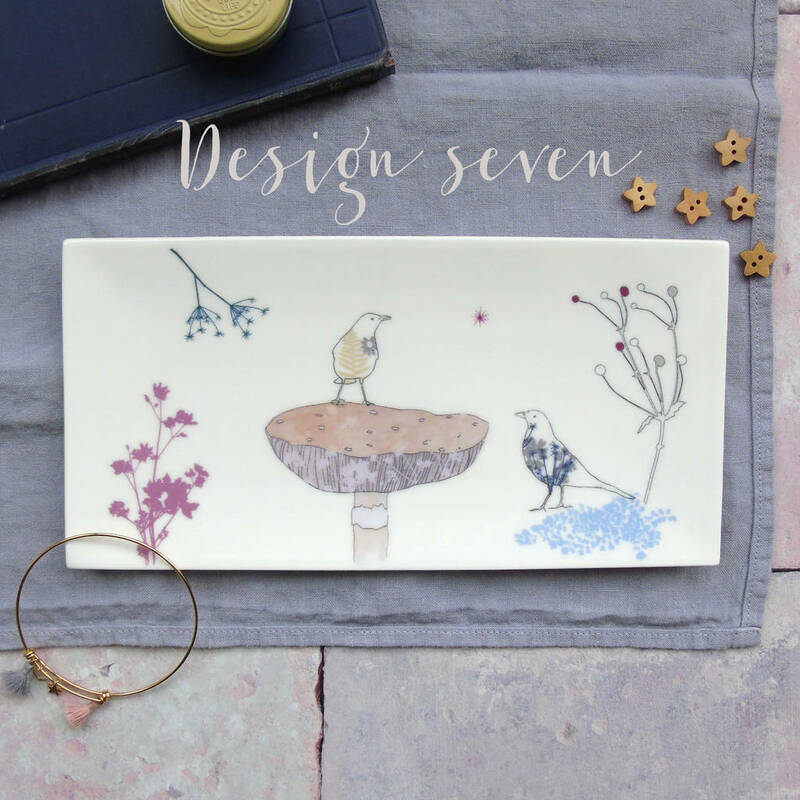 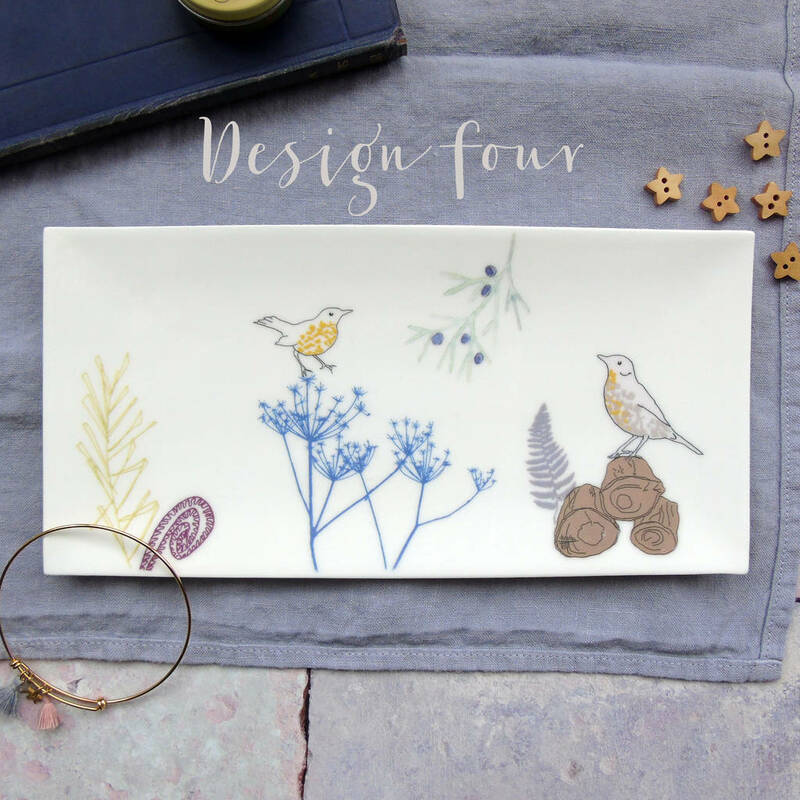 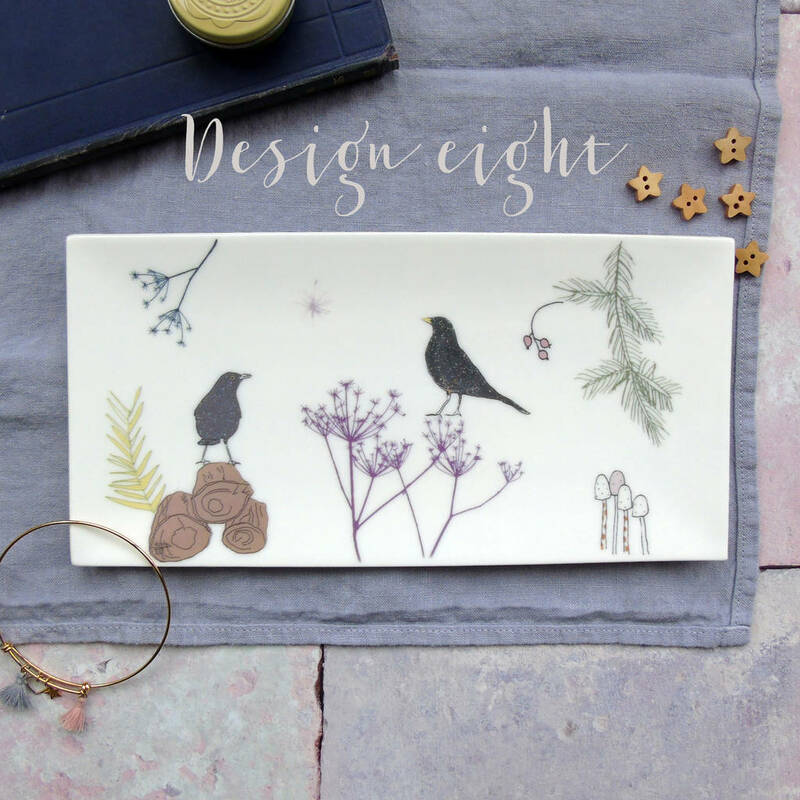 Each bird, leaf, seedhead etc is printed individually for me to compose each design from the separate elements as I decorate the tray making each one special and unique. 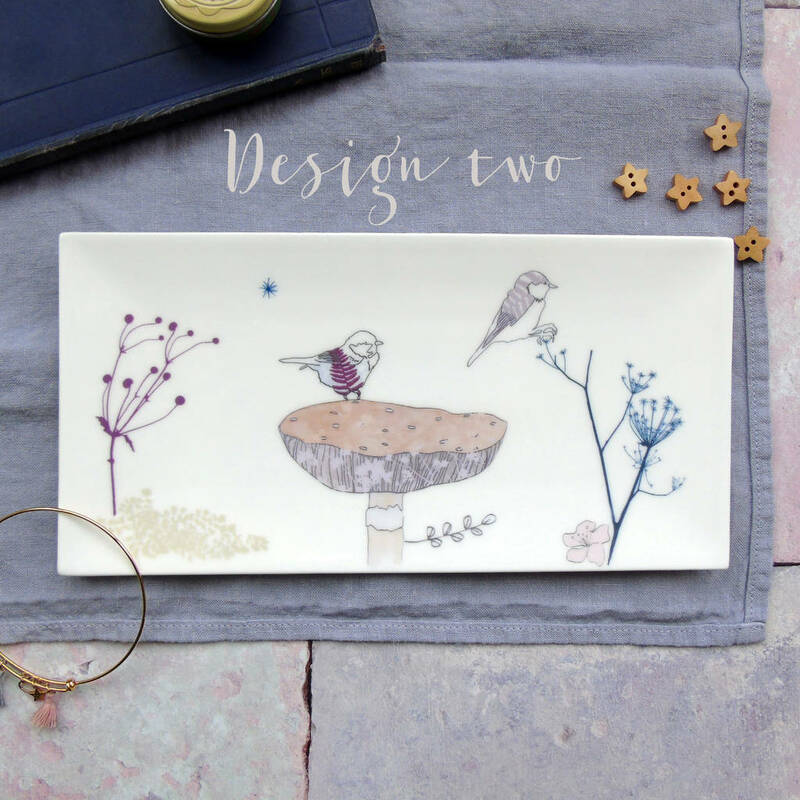 23cm length, 11.5cm width and approx 1cm depth. 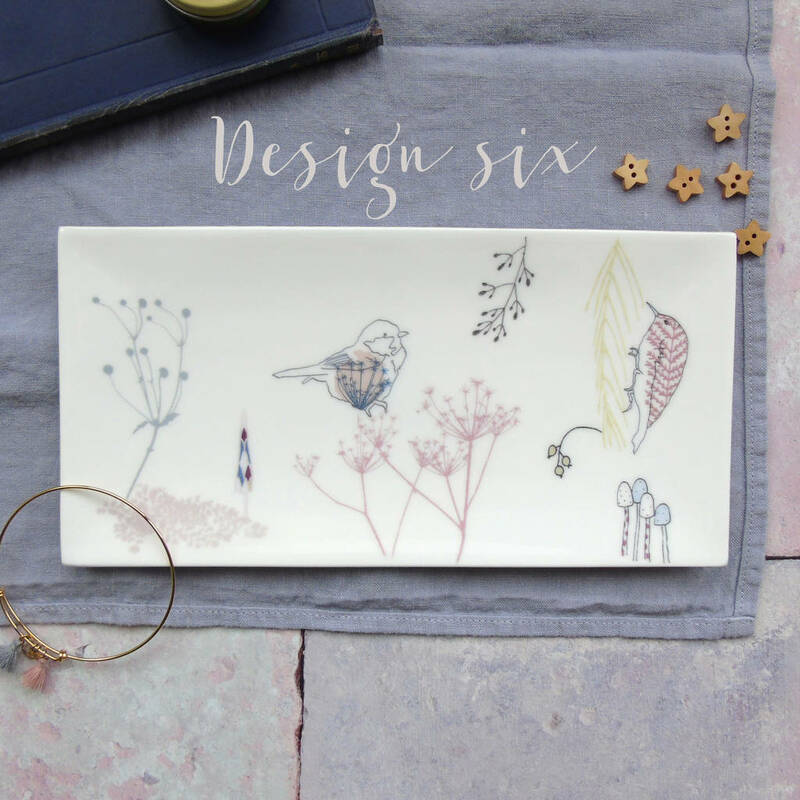 This product is dispatched to you by littlebirdydesigns.